Ancillary Justice by Ann Leckie (Indiebound, Book Depository, Amazon) is a book that people who follow this blog have probably heard about by now, a lot. Many of you have likely read it, and those that haven’t should certainly consider reading it, if for no other reason than it seems to be at the top of many people’s award nomination list (it’s already on several shortlists) and I’ve seen people calling it something along the lines of the most important science fiction book in the last decade. Here comes the big ‘BUT’. All of this buzz, and I’ll even elevate the buzz to hype, essentially results from one aspect of the book – how it uses pronouns. The primary society of this book treats gender in a way fundamentally different than any of the dominant societies of our world. Gender is simply not a distinguishing characteristic of people and the default pronoun is ‘she’. This results in some interesting observations and confusions in other cultures and a default view of all the characters in the books as female rather than male. This rather simple shift can have a pretty significant impact on expectations. Now, I want no confusion on this point. The above aspects of the book are great. SFF needs more interesting treatments of gender, race, etc. and this is a book that has people talking. 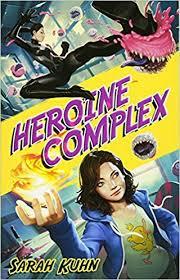 These are important issues that SFF as a genre is particularly suited to addressing since it can make up pretty well whatever it wants as default conditions. To put it lightly, it’s unfortunate how often the default conditions mirror our own society with little to no reflection on why. Ancillary Justice as a novel is boring. The plot seems…absent. Sure there is a plot and it involves some potentially interesting exploration of artificial intelligence as well as discussions on where a society as a whole should go. BUT, while I won’t call the plot secondary, it’s entirely uninteresting. The characters are less interesting than an inflexible wooden board. I didn’t know or didn’t care what the character motivations were. I didn’t care how the book would end. I DIDN’T CARE. If a book can’t make me care about the plot or its characters, then it’s almost certainly a complete waste of my time. And that would be the case – any other book like this and I wouldn’t have finished it. I doubt I’d make it 50 pages in. There’s all the hype, the buzz, the talk about how this book is such a wonderful exploration of gender. Only the whole gender thing – it’s really nothing. It’s simply a part of how things are in Leckie’s world society. Which is great, which is how things should be. BUT it didn’t add anything to the story. Nothing of interest (at least to me) was explored in any depth. Not gender. Not the interesting religious implications of an AI-lead, galactic-spanning theocratic empire. Not the politics of an empire ripping apart at its seams. Not the impact of a xenophobic society expanding through a galaxy. NOTHING. 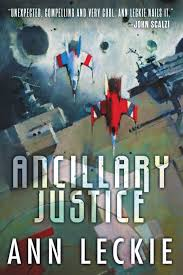 After a fair bit of thought, I think it really comes down to my expectations for Ancillary Justice after seeing so many people I often agree with praise this book so highly. I was expecting something new, something exciting. Ancillary Justice is none of those things. Ursula le Guin was exploring gender in much more important, more shocking, and more meaningful ways 50 YEARS AGO. My ultimate takeaway is simply this. Seeing this book get so many accolades, so much attention, only emphasizes just how stagnant SFF is as a genre. With relatively few exceptions, the genre that’s best suited to explore what’s possible, what should and should not be, what our own expectations say about us and everything in between doesn’t do any of that in regard to many fundamental aspects of our society. And I can’t decide if that depresses me or pisses me off. A few years back my wife asked me what my 10 favorite books were. The point of the question was that she was interested in reading what I considered my 10 favorite books so she could learn a bit more about me and we could have some interesting stuff to talk about (at this point we'd been married for almost 10 years, so we were hardly newly weds). Anyway, I'm pretty terrible with lists, but I did come up with a few of my favorite books to give over to her. "Imagine all the most inappropriate and offensive aspects of my sense of humor - you know the really bad stuff. 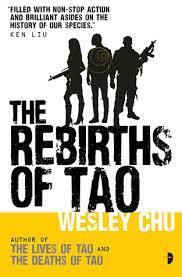 Ramp that up by an order of magnitude or two and you'd get this book." Her response was something like 'Oh'. A few times a year I notice a big push by one big traditional publisher or another about a book that they’ve clearly identified as the next big thing. The marketing is typically ratcheted up a notch or two – many review copies, interviews, blog tours, free sample chapters, etc. 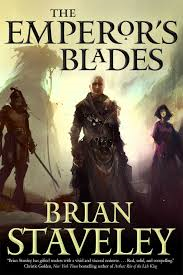 One of these books for 2014 is The Emperor’s Blades by Brian Staveley – go ahead and search out the buzz, you’ll find a lot, including 7 sample chapters. Of course these books are often mixed in how they are received both critically and financially, but in general it’s safe to say that they tend to have a potentially wide-market appeal and are not overly different from other popular books at the time. 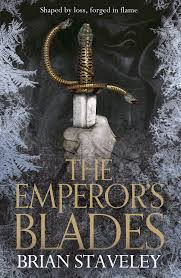 In this, The Emperor’s Blades is no different – it’s a fairly traditional sort of epic fantasy somewhat in a similar vein as George RR Martin and David Anthony Durham. 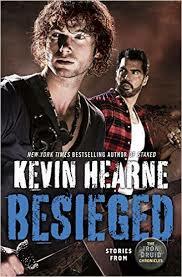 I rather enjoyed the story of the book, and I have to freely admit that Staveley writes a very good action scene and made me connect in a positive way with the characters of the story. This makes the book very readable, hard to put down, and flat-out entertaining. The world is neatly developed in the familiar medieval European and surrounding environs sort of way and the magic system is subtle in this opening book of the series with a potential to be bigger. All in all, it’s exactly the sort of thing that fans of epic fantasy crave, making this book a very logical choice to push as the next big thing. However, I had a few nagging issues that simply didn’t go away. The first, and lesser, is with the character Adare, the daughter of the emperor, though not an heir due to being a girl. The book’s description talks her up in a big way, though this isn’t well realized in the book as she seems marginalized to a low page count as she plays something of the traditional role of female victim. 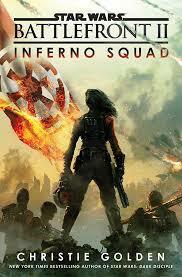 It was disappointing, and consistent with the treatment of the only other female character of note in the book. 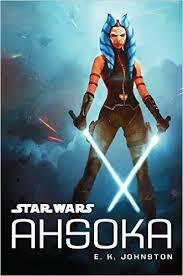 I’ve been told that the second book rectifies many of these issues, but so far the series is not out to a good start. 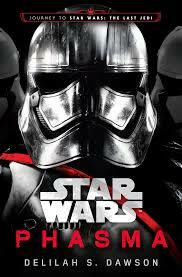 But the bigger issue I had was with the general framework of this series. In short, epic fantasy is often a very conservative genre at heart and this series appears to be a poster-child example of it. 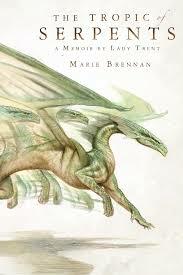 Much of traditional epic fantasy revolves around the basic tenant of maintaining the status quo – the goal is keep or re-establish some monarchy or other style of generally oppressive government, usually in the face of some grave, even existential, threat that only the government can protect the people from. Only rarely is any sort of actual human progress sought. This is absolutely the case with The Emperor’s Blades – there is a rather tyrannical empire, complete with casual slavery. 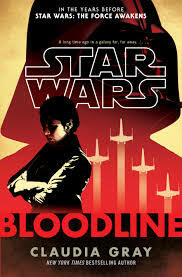 Everything in the story is about maintaining this empire at all costs, and the always looming great evil that this government must protect its people from is introduced. 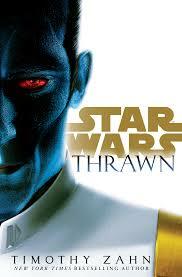 This is a story of an aristocratic elite fighting to keep power. 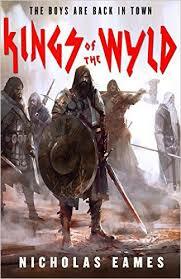 To me, this sort of storytelling in epic fantasy is tired and lazy. I want something more, something progressive, or at least not something inherently conservative (and I’m not necessarily using these terms in a political sense). And I find it troubling where the default for epic fantasy is basically that tyrannical governmental structures are fine as long as they protect you from evil. Especially as I look at around at my own and similar governments. In spite of my reservations, I feel that Staveley’s storytelling rose above the mediocrity of its framework, and I agree that most fans of epic fantasy will find it enjoyable. 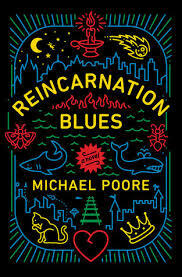 The book was fun to read and I imagine that I will read the second book, The Providence of Fire, to see where things go. Hopefully there will some big picture surprises that improve upon my reservations. The other day I heard a song that I haven't in a while. The song is Hurt, not the Nine Inch Nails original, but the version sung by Johnny Cash that made such a splash about ten years ago. I love both versions, though the Johnny Cash version just feels so real. And to me, I've always, since the first time I heard the that version, thought of Roland of Gilead from Steven King's Dark Tower series. To me, that song embodies Roland perfectly. Roland of Gilead is the last gunslinger, a holdover from a gilded age of civilization and prosperity. The world is decaying, humanity is decaying, and Roland is the symbol of it all, He's the decay of humanity, and the last hope for it. He's a deeply flawed and hurt individual, on a quest, perhaps the most noble of quests. But he's single-minded, selfish, and willing to sacrifice anything to reach the end of his quest, even his own humanity. He is the tragic hero. The series itself if flawed, Roland is flawed, humanity is decaying, and the gilded age of before was never the ideal everyone remembers. The metaphor is strong, and perfect, and flawed. Say whatever you want of the series, but Roland is one of the most powerful protagonists I can think of in the fantasy genre. And he is so deeply imperfect. So, I give you Hurt, the Ballad of Roland of Gilead. A song that nearly always brings me to tears - whether I think of Roland, Cash, Reznor, or others from my own life. The Dark Tower begins with The Gunslinger and one of the best opening lines I've ever read. Somehow, someway it's already 2014. Time flies and since my birthday is on New Year's Day it literally is another year older for me. But I digress. Last year had the distinction of being my least productive blogging year in the 8 years this blog has been around. I hope to improve on that this year, but I doubt it'll be dramatic. I do have about 7 reviews in various forms of writing (mostly in my head still) so hopefully I can get a few of those posted soon. Anyway, I imagine I'm still going to be on a 1-2 reviews per month pace while I read about 3 books per month. Nothing notable there, but it's been ages since I've been anything close to a post per day blogger. I may do a 2013 summary post and I may not - I'll decide later. However, somehow last year I never got around to blogging about one of the coolest things that's happened to me in 8 years of blogging. I was actually published (and paid). I think that makes me semi-pro now, though you'll have to pry my amateur status out of my cold, dead hand (I should note that I have no aspirations of being a writer, so it doesn't matter one way or another). One of the reviews I wrote in 2012 was selected for publication in Speculative Fiction 2012, (Indiebound, Book Depository, Amazon) which is a collection of reviews and other non-fiction web-based content from 2012. It's sort of a best-of publication and it's an honor to be included. I mean, my contribution is clearly bringing up the average with authors like Kate Elliot, Elizabeth Bear, Christopher Priest, and Joe Abercrombie holding the publication back. Anyway, it's a good read and I think it's worth checking out. Nomination are still open for the next publication in 2013 of what I hope will become a long-running series. 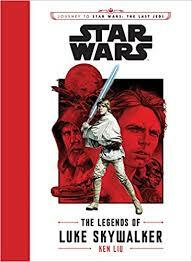 Below is a bit of promo from the editors Jared Shurin and Justin Landon the book that I figured I pass along. We're writing this particular message to make a request. 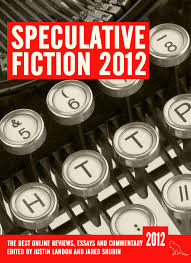 Speculative Fiction 2012 is eligible for a Hugo Award in Best Related Work. As a contributor to the project we would very much hope you would include it on your nomination ballot (if you have one). If you're a member of LonCon3, or were a member of LoneStarCon3, you have the ability to nominate. You can do so here. Well, as contributor I'm sure you know all this, but Specfic'12 came to be for two reasons: to create a record of the year and to recognize blogging, for the first time, as a legitimate means of commentary in a world obsessed with... erm... legitimacy. We believe the project was outlandishly successful on both fronts. Three reasons, even, as all the proceeds have been donated to Room to Read. The collection included over fifty of your pieces written on subjects ranging from ethnocentrism in My Little Pony to the role of historical authenticity in fantasy. We were privileged to publish your book reviews, biopics, essays, and eviscerations. We convinced Campbell Award winner Mur Lafferty to write the foreword because we knew she'd win the award and aid us in our quest to build votes for the project (that's what we call REVISIONIST history). In short, we put together a time capsule for future generations of science fiction and fantasy readers to understand what was important to readers in 2012. And we're excited to see it happen again in 2013, and on into the future. Share the contents of this email on your social media and blogs. Leave out the first paragraph. It's terribly charming, but may not make a lot of sense out of context. Encourage your networks to consider SpecFic'12 in Best Related Work. Talk about why criticism and commentary and blogging and online debate are all important. Share links to Room to Read. Talk about how fun it would be to own exactly 1/50th of a Hugo Award. We believe it's a project shared among the entire online community, a symbol - and hopefully some sort of small representation - of all the great work that's happening online. Regardless of what you decide to do with your nominations, thank you so much for contributing to SpecFic'12. It's a project we felt passionate about and we're so proud that it came to fruition, and even more proud that it's in good hands for 2013 with Ana Grilo and Thea James of the Book Smugglers. P.S. Because we're especially shameless, we're making the eBook of Speculative Fiction completely free this weekend - January 11 and 12th. Labels: does anyone even bother to read these labels?